Mac sales software for teams that want to grow. Skyrocket your team’s sales productivity. Track more leads with less work. Share every email without having to cc each other. 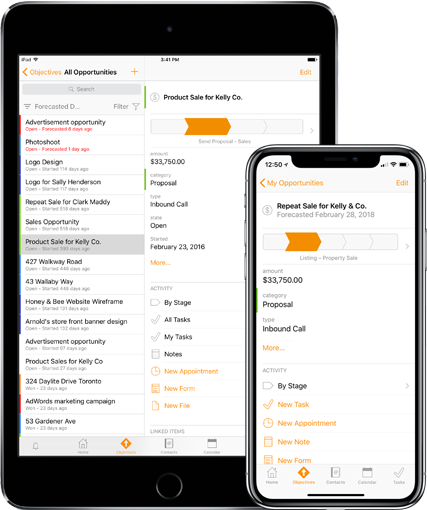 Track every phone call and meeting note about a sale. Build and share email templates. Delegate follow ups to others in your company. Grow your sales pipeline. Track your success. Build custom pipelines that let you craft the perfect sales process. Track your prospects from lead to close, and every step in between. Share with your team to keep everyone updated. Make informed decisions with standard and interactive reports. See how many leads are in the pipeline and where they’re getting stuck. Track your close ratio and know how much each team member is winning. Convert leads on the go. With Daylite on your iPhone and iPad, you can stay on top of leads anywhere, anytime. Capture new leads. Stay on top of follow ups. Track your sales pipelines. "Daylite is worth two sales people to us – a group of 15 – because it helps to get things done faster without spending extra money. Daylite works so well for our business that it almost looks like it is custom built for us!" Track more leads. Close more deals.